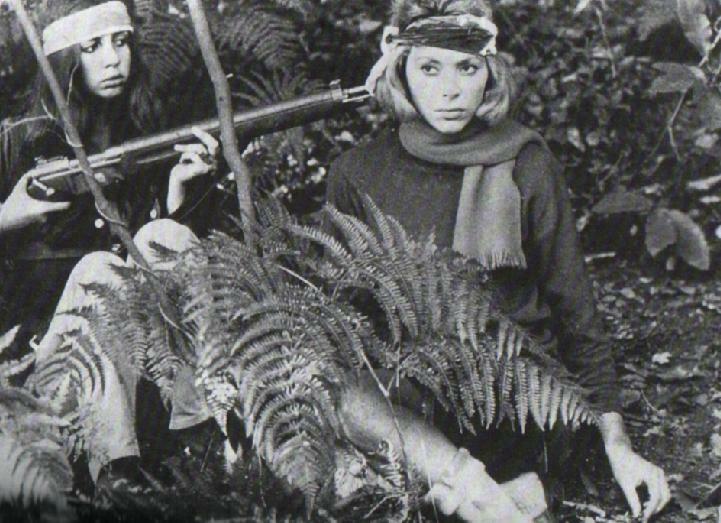 Mireille Darc (Corinne) [on right] held at gunpoint by Juliet Berto (Revolutionary), from Weekend . 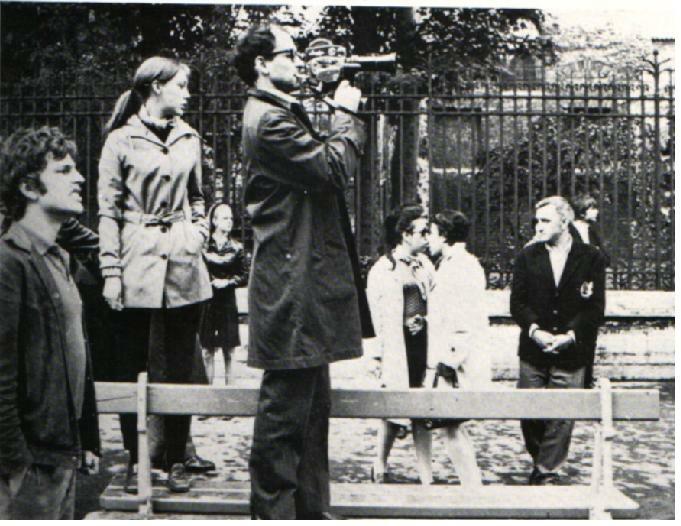 Jean-Luc Godard shooting the Ciné-Tracts in the Latin Quarter – May, 1968. 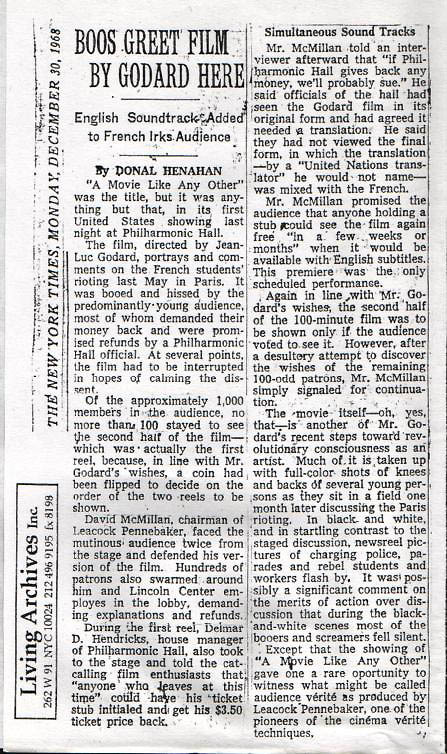 The New York Times, December 30, 1968.